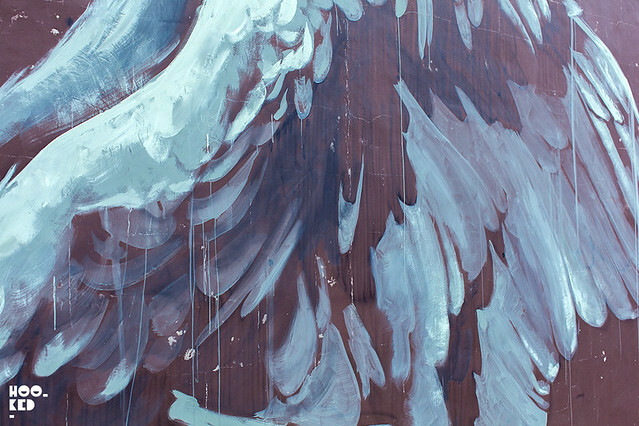 While in New York recently we took some time to meet up with the team behind the Savage Habbit Mural project. We had been in touch with them via email before our arrival and had arranged to check out some of the murals they had been organising in Jersey City, just across from the island of Manhattan. 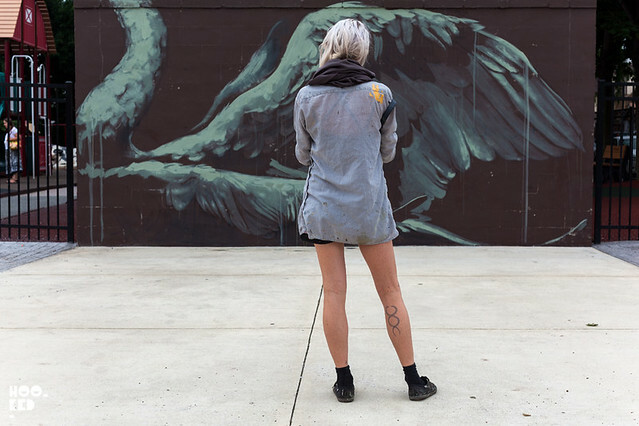 After a stopover in Montreal for this years Mural festival (covered here) en route to New York we caught up with Faith47 as she was one of the invited artists to this years edition of the festival. She shared with us she would also be visiting New York after her time in Montreal and had planned to paint a wall with The Savage Habbit guys while we were in town. 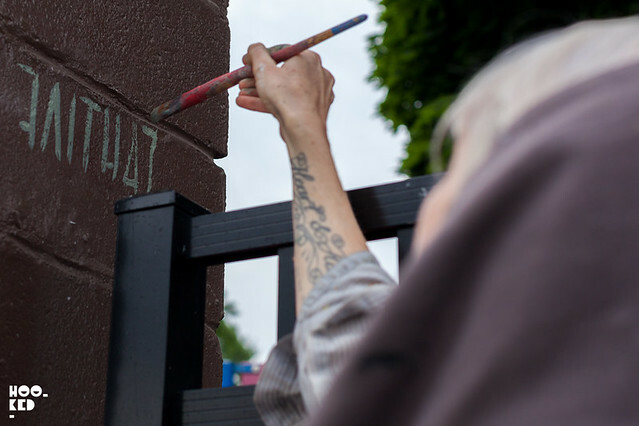 On our arrival in New York and with a date fixed for painting we headed to Port Authority Station to catch a bus to the town of Secaucus in New Jersey where Savage Habbit had arrange a small wall for Faith47 to work on in Buchmuller Park with help from Mayor Gonnelli. Not knowing we had to request the bus stop for Secaucus town centre we missed our stop and ended up on the highway toward Rutherford!! All part of the adventure! 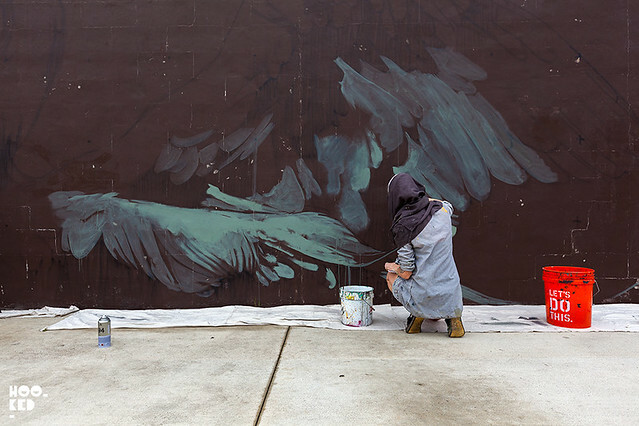 After a quick bus change we finally made it back to Secaucus and caught up with Faith47 and the Savage Habbit duo just as she began work on the first in a new series of swan inspired murals in New York during her extended visit to the city. 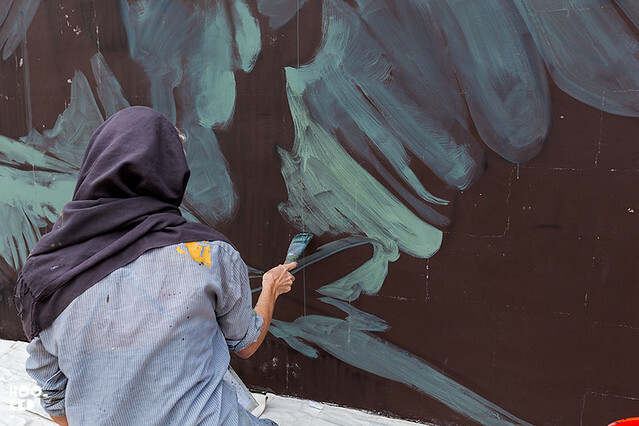 Check some of our photos below of the artist at work on this wall and we also suggest visiting the Savage Habbit website and checking out some of the other projects they have been working on in the town of Secaucus. 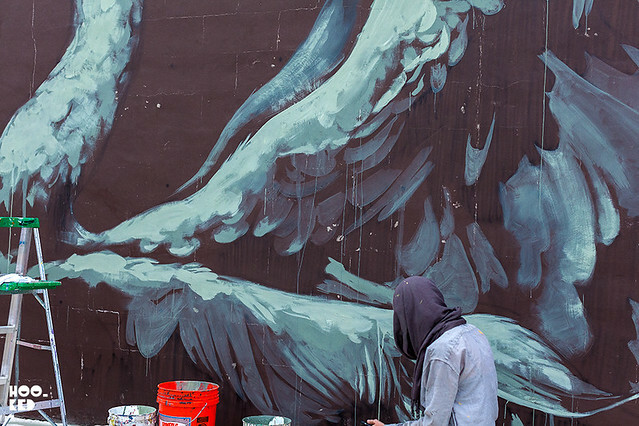 Faith47 signing her finished mural. 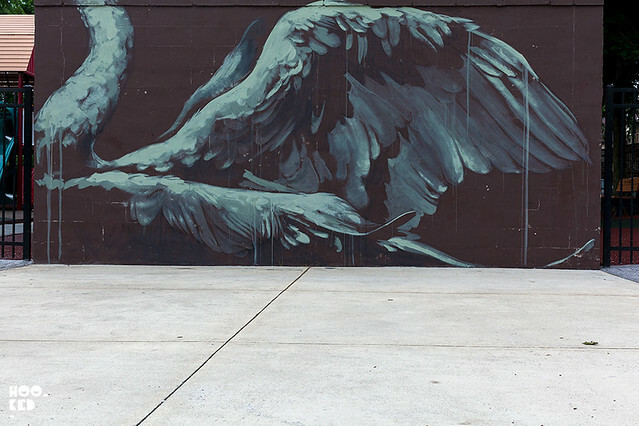 The completed mural from Faith47, focusing on the wingspan of a swam in flight.